The Relative Strength Index is probably one of the most popular price indicators and it is being used by those traders who are at the beginning with forex trading. However, the indicator might be misleading for most of the traders, as they fail to understand it properly, which leads to some painful mistakes. In this article, we will cover the basics of RSI and we will also try to answer the question: Is RSI good for Forex trading? It is a technical indicator used to measure the strength of a particular trend, based on the closing price for a given period of time. The most popular period is 14, but other ones could be used, as well. The indicator can have a value between 0 and 100, with two levels being used as a threshold in order to determine in what kind of environment a particular asset is in. 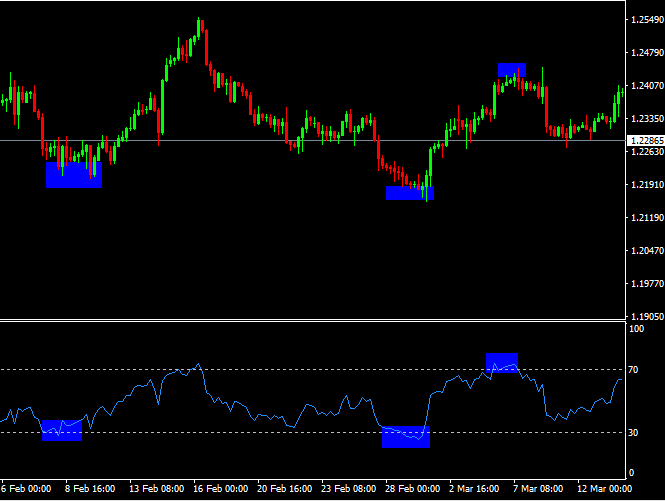 If the RSI is located around or below the 30 level, that means we are in an oversold condition. A value above the 70 level will mean that an overbought condition is in play. Simple enough to understand, but some particularities will need to be taken into account in order to use the indicator properly. 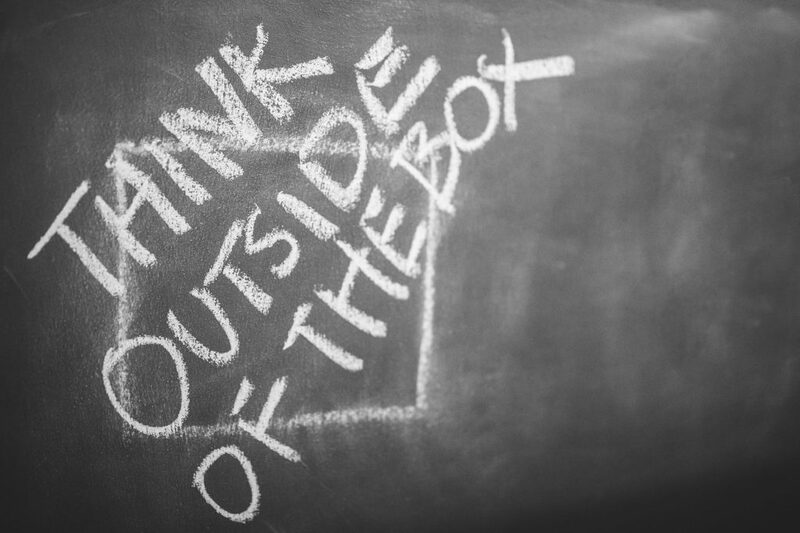 It could be, but you must apply it in a certain context. Technical analysis is like an art, it can be mastered with time and in order to do that, you must practice and go over a lot of mistakes. Now, getting back to RSI, let’s take an actual example from the chart. 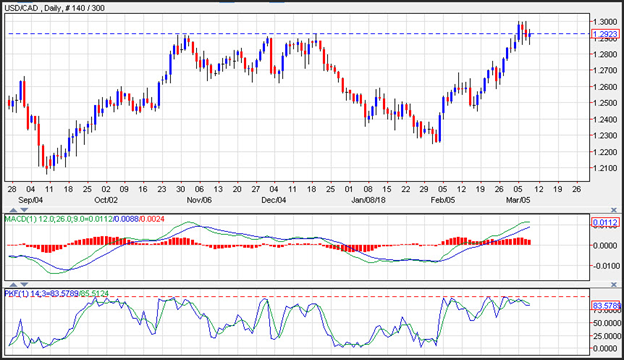 You can see below the EURUSD on the 4h chart and three situations we’ve spotted, two oversold and one overbought. You can see that the market started to move in the opposite direction each time. 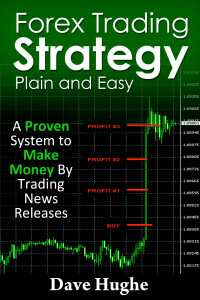 The first thing to take into account is to use the indicator on a higher time frame. You could find signals on the smaller time frames, but it will most likely generate a lot of false signals. The second thing and the last is to take signals that form on the dominant side of the market. In the example above, the pair had been in a bullish trend and buying the pair on oversold conditions would have generated strong signals, as it is highlighted on the chart. In order to understand better the market psychology, this time we will discuss another interesting concept, which is the risk aversion. The current economic context is another reason why we want to approach this subject. The global economy had been expanding since 2011 and since 2009 in the United States. A recession is something normal in this case, as the economic cycles principle is stating. During those periods, risks aversion appears as the market sentiment deteriorates. Let’s dig into this subject and see what the particularities of this concept are. 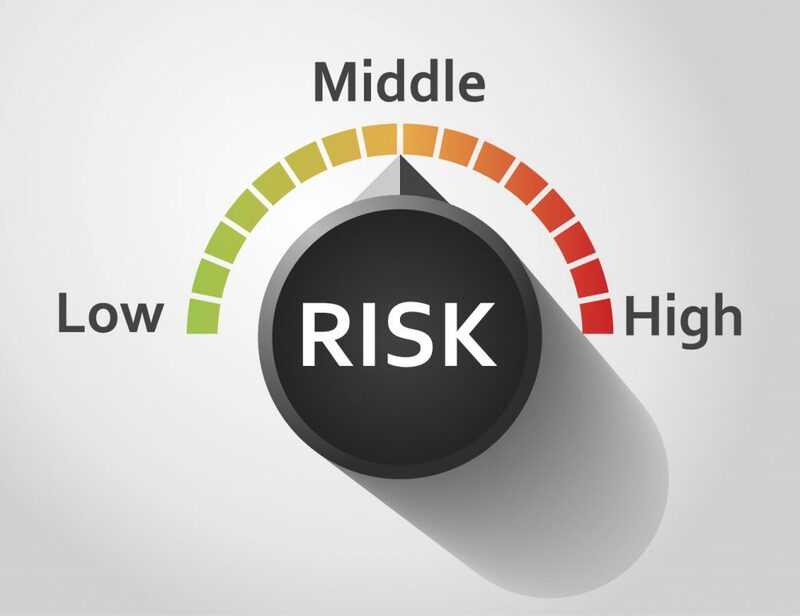 Risk aversion is a situation when the market participants are no more willing to invest their money in risky assets (stocks, precious metals, commodities etc) and place their money into safe assets (bonds, bank deposits etc.) due to economic contraction, political uncertainty, natural disasters or any other even with a significant negative impact on the economy. Periods with high-risk aversion have low market performance associated and thus returns are low, especially for long-term investors. 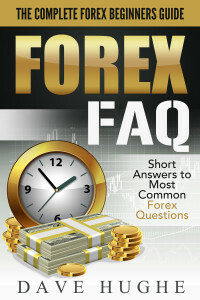 What should forex traders do during these periods? 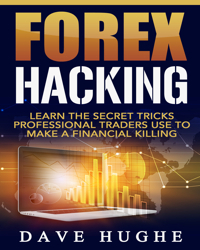 What usually happens in the forex market is that investors are buying safe-haven currencies. We’ve covered the topic of safe-havens in a previous article and you can check it as well. During the last severe economic crisis, which took place back in 2018, the yen, US dollar and the Swiss franc had been the biggest gainers, due to their safety profile. Our assumption is that due to extreme nonconventional monetary policy from the Switzerland National Bank, the franc might not be able to gain as much as the yen or the US dollar. The biggest economy of the world at this point, the United States, and US bonds are considered to be safe, that is why investors are selling currencies in order to buy US dollars so they will be able to buy bonds. Also, following the crisis of 2018, the major central banks had embarked on a road of easy money, lowering rates and printing money, leaving them with little room for action in case another economic contraction takes place. Protection is the first objective when risk aversion is high and that is what you should do, as well, not expecting huge returns in short periods of time. The Canadian Dollar has been trading under pressure as tariffs could weigh on the currency. The Bank of Canada delivered the widely expected lack of change, leaving the setting for the overnight rate at 1.25%. While higher rates over time remain implied by their economic outlook, they repeated that they will be cautious in considering future policy adjustments. Their views on recent developments were largely balanced, but with a notable mention of the growing uncertainty to Canada’s outlook posed by trade policy. The markets projection is for two more rate increases this year, in July and October, leaving a 1.75% setting by year-end. The crucial final paragraph of the announcement was little changed relative to January. The repeat of “further rate hikes likely but guided by data and implemented with caution” is a place-holder as they observe the evolution of trade policy, wages, housing and GDP. The Bank of Canada expects GDP growth of 3% in 2017 in-line with the Bank’s projection in the January monetary policy report. Yet that was largely due to higher imports, which mainly reflected stronger business investment. The key for policy going forward is the evolution of GDP and inflation relative to their projections. But uncertainty remains elevated, including the tariff plans from the White House in the United States making for a policy outlook that is written in very light pencil. The March announcement revealed little change in the cautious, data dependent Bank of Canada. Hence, they should be able to hold policy steady until past mid-year, providing ample time to access the impact of NAFTA and possible U.S. tariffs on trade and investment. The long-anticipated rotation to export and business investment from household spending and housing is moving along in fits and starts. Of course, household spending did slow in Q4, which is something the Bank has been eying for some time. The announcement assured that they are continuing to monitor the economy’s sensitivity to higher interest rates, noting that household credit growth has decelerated for three consecutive months. The Bank of Canada is expected to move again in July, lifting rates 25 basis point to 1.50%. Another 25-basis point rate hike is penciled in for October to leave a 1.75% rate that should close out the year. But the risk is intensifying that the economy faces fresh headwinds from trade and housing this year. Of course, an expanding U.S. economy would provide a strong tailwind for Canada, if trade protectionism does not weaken the link between the two nations. In other words, uncertainty clouds the outlook, leaving a gradual and cautious course ahead as the most sensible policy path for the Bank of Canada this year. Canada housing starts improved to a 229.7k unit pace in February from a revised 215.3k growth rate in January. Currency trading of the Canadian Dollar saw the Loonie remain stable. The pick-up in starts was contrary to expectations for a mild dip and comes amid general softness in sales and prices so far this year as new mortgage rules and other measures pulled-activity ahead to late 2017. Starts saw a 6-month average of 225.3k in February versus 224.6k in January, maintain a steady growth rate since November of last year. Single detached starts fell 9.8% to a 56.7k rate in February while multiple urban starts jumped 15% to 154.5k in February. By region, starts improved in Toronto and Vancouver, with a record number of apartment starts featuring in Toronto.